What exactly is the 4k technology? Why should you buy a 4k laptop? Are all 4k laptops meant for gaming? 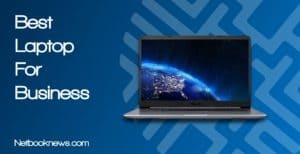 If you are looking for the best 4k laptops, you have come to the right place. While these laptops can be a bit expensive, a little research can help you find a budget option as well. It is amazing that the world is now after 4k laptops. There was a time when the major deciding factors to pick a laptop were specifications such as the processor speed, RAM, storage capacity, etc. The search for the 4k option shows people wishing for that immersive visual experience that the companies keep promoting. In this 4k laptops review, we have not paid much attention to the price. We believe that when you are looking for a new experience, your budget should not come in your way. However, the laptops we have ranked in this review offer you the best bang for your buck. 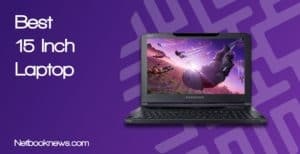 These laptops are not cheap, but the value they deliver is high against the price you pay for them. It is quite difficult to pick the best one when you are not necessarily using budget as a metric. However, when you have to pick the best 4k laptop, it has to be MSI Stealth Pro 4k-338 with 15.6-inch screen. Yes, it can be the expensive one out of the bunch, but it ticks all the boxes when you are looking for a laptop. Not to mention, any laptop can do the job if you are going to do some office work on it. However, that’s not the reason for you to buy a 4k laptop. Going for this amazing screen is a luxury and you have to splurge a little to get the best. The reason why MSI Stealth Pro is on top is that it offers many options in the specification sections. Almost all the laptops on our list have huge hard drives, lots of RAM, etc. but none can beat the Stealth Pro. Its specifications are the most impressive whether you talk abou­t its storage capacity or the screen size. Just so you know, the screen size is 15.6, which is not the biggest but it is the perfect screen size for gaming or movie watching experience. You have to keep in mind that a bigger screen size means you will have to carry a lot of weight as well. It also finds the perfect balance between a gaming and an entertainment laptop. If you want to enjoy mid-level gaming without the hefty size of a full-on gaming laptop, this is the best option for you. The two types of storage, including the solid-state drive, is a plus. One of the issues with some of the best 4k laptops is that they are mainly for gaming. Most gaming laptops are quite bulky and heavy. MSI Stealth Pro is comparatively lightweight and thin. You can store your personal pictures on the hard drive whereas your games on the SSD for optimum performance. The colorful backlit keyboard is a great addition. The dedicated 6GB NVIDIA graphics card ensures admirable gaming performance. The Core i7 processor is 7th generation, which means great performance without unbearable throttling. The cooling system on the laptop consists of five pipes and three cooling fans. The Doubleshot Pro technology ensures you never lose games due to internet latency. The IPS display is cool on your eyes while being amply crisp and fine with the 4k display. It is a relatively lightweight mid-level gaming laptop with a slim form factor. Many customers have admired the fact that the laptop is portable and easy to carry. Moreover, the thin form factor and unique backlit keyboard also receive praise and acclaim. If you like to play games with high graphics requirements for fun, this is the laptop for you. It might not be the best for professional gamers due to its small-dedicated graphics memory. 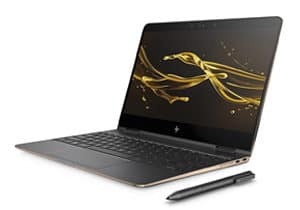 HP Spectre x360 is a unique laptop. The first thing that makes it unique is the 360-degree hinge rotation, which allows you to use it like a tablet with a stand on its back. The side bezels around the screen are very small giving you a true edge-to-edge display. The thickness of the laptop tapers from the screen to the touchpad, giving it a very slim overall look. Of course, it has a touch screen so you can use it conveniently in the tablet mode. This mode makes Spectre the perfect laptop to be on your office desktop for checking emails and seeing social media news feeds. There is no compromise on the processor performance since it carries an 8th generation Core i7 processor at 1.8GHz. Moreover, you get dedicated graphics memory so you can do some level of high graphics gaming as well. It also comes with a stylus pen so you can do some art, drawing, and writing if you are in any of those professions. The high-quality Bang & Olefsen speakers make this an entertainment laptop, besides being a workhorse. One of the things that make it an entertainment laptop is the Bang & Olefsen speakers on it. There are many connectivity options including the thunderbolt port as well multiple USB 3.0 ports. The solid-state drive ensures uncompromised gaming performance. It also has an admirable battery life for worry-free gaming and media viewing. Most customers love the laptop for its performance. Many users have also admired the fact that it does many things well, and that it is not just a gaming laptop. If you have been a Dell user for years and trust the quality of their products, this could be a good option for you. While the specifications might not seem to be too impressive, you don’t have to forget that it is one of the most affordable out of other options on the list. You can pick it if you don’t want flashy designs, and do gaming only for fun. The main selling point should still be its price. 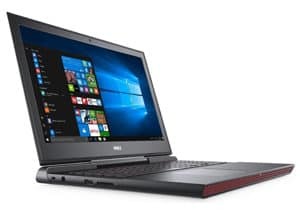 Dell Inspiron 7000 flagship gaming laptop is more like a basic gaming laptop with mid-level gaming specifications. The 10-finger multi-touch screen is definitely one of its unique features. There is an Intel Core i7 processor with the turbo boost options that can enhance its speed and performance. The design language on this laptop is very sober. You don’t find anything flashy on it. After holding it in your hands, you can tell that it is not one of the thinnest laptops out there. The touch screen option is unique but the fact that you can’t get the laptop in the tablet mode can be off-putting for some. Many customers who bought the laptop say that it is more suitable for editing photos and videos than it is for gaming. Of course, if you look at the specifications, you will notice that the graphics card is not the best thing on it. The only disappointment for some customers is that it is not a 2-in-1 laptop. It can be one of the best 4k laptops for the features it offers against its price. Moreover, the device’s price can make it seem like it is a gaming laptop, but it is not. If you are looking for a laptop that converts into a tablet, this one is for you. 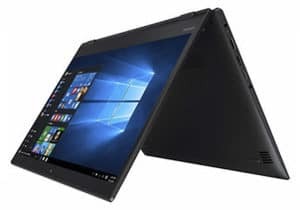 Lenovo has done a great job with this amazing laptop that converts into a tablet. The hinge allows you to rotate it 360 degrees so the back of the display meets the back of the keyboard. It is a complete tablet in that mode. People who love laptops with pointy corners will love its design. The bezels are not the thinnest but they are still slim enough to give an edge-to-edge feeling. The location of the touchpad is perfect i.e. almost in the middle, allowing you to control the pointer without bending your arm too much. The graphics memory might not be the best but then again, it is not exactly a gaming laptop. It is a better choice for those who want an immersive image and video watching experience. With those specifications and a dedicated graphics card, Lenovo has managed to make it thinner than other laptops in the same category. Those who bought this laptop have loved it for its affordability. They love the fact that they can get such amazing specifications for a price of a regular laptop. MSI Titan Pro could be the best 4k laptop for its specifications, but the price is quite high for this one. However, if you are a professional gamer and your purpose of buying a laptop is pure gaming, there might not be many options better than this one. 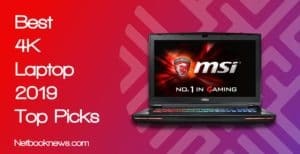 MSI Titan Pro is the true gaming laptop. You can see that it is a gaming laptop from its construction and design. Its specifications are the best on our list of best 4k laptops. However, it is down here on the list because of the hefty price tag. While the construction of this laptop is quite solid, the thick design can be a bit cumbersome for you to carry. Its keyboard is probably one of the most colorful keyboards you have ever seen. Customers have mostly admired its robustness and solid construction in their online reviews. They also love its gaming performance but some have also associated the low battery life with that performance too. Before you spend your money on buying the best 4k laptop, it is recommendable to understand the 4k technology first. This is the resolution of the screen. In simple words, it shows you the number of pixels on the screen size. In the case of 4k, it means you have a resolution of 4096×2160. However, that’s the true 4k resolution that you don’t usually get on your devices e.g. 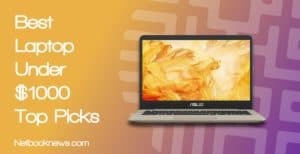 laptops, TVs, tablets, smartphones, etc. The reason why you don’t get that exact resolution is the aspect ratio of these devices. On the devices you own, including these laptops, the resolution you will get is 3840×2160. In its strictest sense, that’s not exactly 4k. However, the world has called this resolution 4k so many times that the misnomer is now a norm. So, don’t be afraid if some online guide tells you that 4k resolution is 4096×2160 whereas on your laptop it says 3840×2160. The most common term that device manufacturers’ use for the latter is UHD or Ultra High Definition. Due to the reasons stated above, you can use UHD interchangeably with 4k today. Not to mention, your eyes cannot notice the difference between the two. The answer is details. The more pixels you have on the screen the more detail you will see in the visual. Think of pixels as small particles of sand. These small particles of sand make up the pictures that appear on your screen. Now, imagine if a picture of Mona Lisa appeared on your screen using only 100 particles of sand. Imagine the same with 10,000 particles of sand. You know at this point that the picture with 10,000 particles (or pixels) will look finer, more detailed, and crispier. Now, think of the same picture using 8.3 million pixels. Yes, that’s how many pixels you have on the screen when it says 4k or 4k UHD. Hence, 4K resolution has nothing to do with the performance of your laptop per se. Yes, it can affect the performance in a way, but performance is not the motive for people who are looking for 4k laptops. What motivates them to buy this technology is the immersive screen experience of looking into the crispy visuals. While it may not be evident straight away, if you compare 4k screen with a full HD screen, the difference is clear. While most of the 4k laptops tend to be for gamers, you can enjoy the crisp picture even if you are not into gaming. Why they are mostly for gamers is because gaming graphics look lifelike when the pixel count is high. 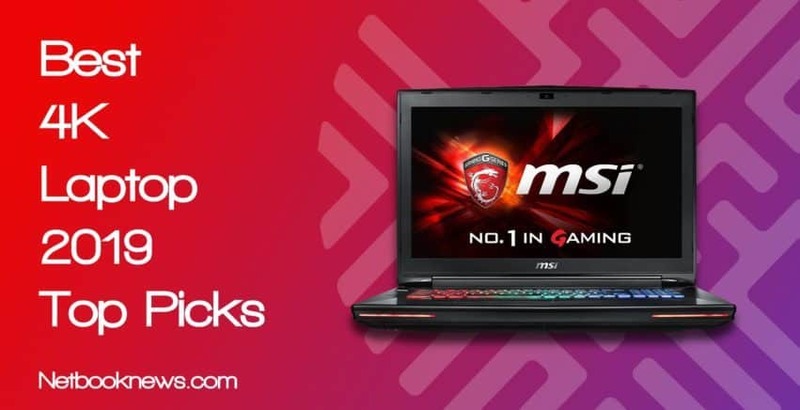 In fact, our best pick is a perfect combination of a regular as well as a gaming laptop. It is not fully a gaming laptop. It does not have the thickness of a gaming laptop. Therefore, you can carry it around with ease too. 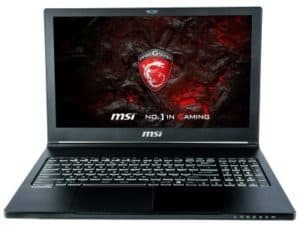 In the end, when you are out looking for the best 4k laptops, you will face hefty price tags and gaming configurations. However, we believe you should get the best of both worlds. Hence, we have picked the perfect 4k laptop that has the looks and in-hand feel of a regular laptop but configurations of a light gaming laptop. Get your hands on it, enjoy some detailed graphics and crisp colors, and boast the specifications when talking to your friends about your gear.